Now a renowned sand artist, Joe Castillo maintains a busy schedule. Each location presented one adventure after another that the artist captured in the written word. SandStory Book recounts the fun, fascinating and inspirational story of how sand transformed one man’s life. SandStory Book takes the reader on a journey of how artist Joe Castillo combined his love of art with storytelling during his teen years to becoming a world renowned storyteller. Of all the mediums available to artists for creating images, Castillo chose simple grains of sand. Using an illuminated light table filled with a layer of sand, Joe effortlessly creates detailed images by merely manipulating the grains of sand with his hands atop of the table. With simple techniques that resemble drizzling, finger-painting and pushing sand from one area to another, Castillo magically transforms plain sand into intricate patterns and images that he then morphs into other patterns and images. Castillo began using his unique brand of storytelling to provide inspirational demonstrations. During his performances, all of Joe Castillo’s movements and images are projected on a screen behind the artist. When witnessing one of his inspiring performances, audiences watch in awe as the artist tells a story while a musical track plays. Joe Castillo created videos of his work and submitted them to YouTube. The artist began receiving hundreds of invitations to perform from around the world. His unique art and storytelling form blossomed into a new career. After successfully progressing to the point of becoming a finalist on the 2012 season of “America’s Got Talent,” Joe Castillo became one of the most widely recognized sand artists in the world. The unique medium entails using a lighted table containing a layer of sand. Using this set-up, Joe Castillo effortlessly creates detailed images by merely manipulating the grains of sand with his hands atop of the table. With simple techniques that resemble drizzling, finger-painting and pushing sand from one area to another, Castillo magically transforms plain sand into intricate patterns and images that he then morphs into other patterns and images. During his performance, all of Joe Castillo’s movements and images are projected on a screen behind the artist. When witnessing one of his inspiring performances, audiences watch in awe as the artist tells a story while a musical track plays. Joe Castillo is the premier SandStory artists in the world. 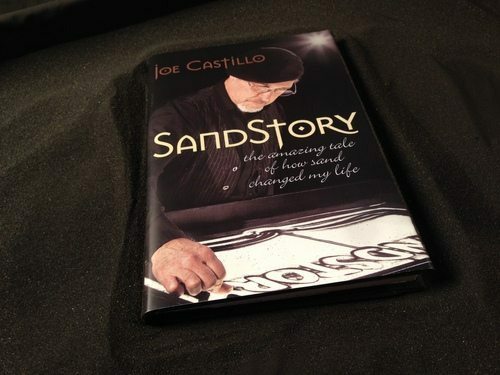 Joe Castillo is also a best-selling author, and the “Sandstory Book” is now available to fans. The book represents Castillo’s personal story of how sand inspired his artform and career. Joe Castillo did not start out as a master at telling stories through sand art helping nonprofit organizations raise money. In fact, his whole career turned on a trip to a home improvement store where he walked by a spilled bag of sand. His imagination took hold, and he purchased a bag of sand and all the items he required to create a light table. From those humble beginnings, Joe Castillo became a master at telling stories through his sand animation. Joe Castillo does not simply make pictures. Using his hands and arms, he morphs one illustration into another so smoothly the audience is awed. Each image leads to another in a presentation that tells a story of emotion and depth. As he creates, the play of light and shadow, as well as the musical background, add to the overall impact of the presentation. 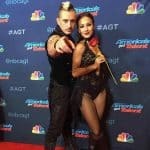 Joe Castillo’s performances have led him around the world and to the finalist stage of America’s Got Talent. Joe Castillo does not do what he does simply for acclaim or fame. Castillo recognizes his talent and skill is also a gift that should be used for more than himself. He generously uses his abilities in Sand Art to benefit others. With his impressive presentations, Castillo captures the pain and sadness of his subjects as well as the great need for so many. As seen in this Gala Sand Art video, Castillo’s work does not end with a presentation of the need, the hurt and the tragedy of childhood illness or other needs, but with hope. Help for those in need comes from assistance from regular people made aware of the problem of funding or other requirements and who give of their resources of finances or time. The Gala2012 presentation shares stories of real young people with real needs such as cancer or rare conditions that require enormous financial resources for families. There is the story of the teen overcoming cancer and the young girl, with a rare disease, whose father willingly gave his daughter his kidney so she could live. At first glance, it is hard to imagine that sand art, Joe Castillo, the CONSOL Energy Center, Pittsburgh Penguins, Penguins Foundation, the Mario Lemieux Foundation and the Cystic Fibrosis Foundation could have anything in common. Thanks to Castillo, premier sand artist in the world, they could not fit together better. Watch as Castillo smooths and swirls sand across a light board to tell the story of the Pittsburgh Penguins Foundation in a way that will keep you transfixed. One image melds into another as scenes of the story flow from beginning to end. The music matches the tale. No words are necessary. Pay close attention to the details of the story of the Pittsburgh Penguins Foundation. Castillo brings this same precision to every piece of Sand Animation that flows across his light board. In his gifted hands, Sand Story becomes the perfect medium for maximum impact. 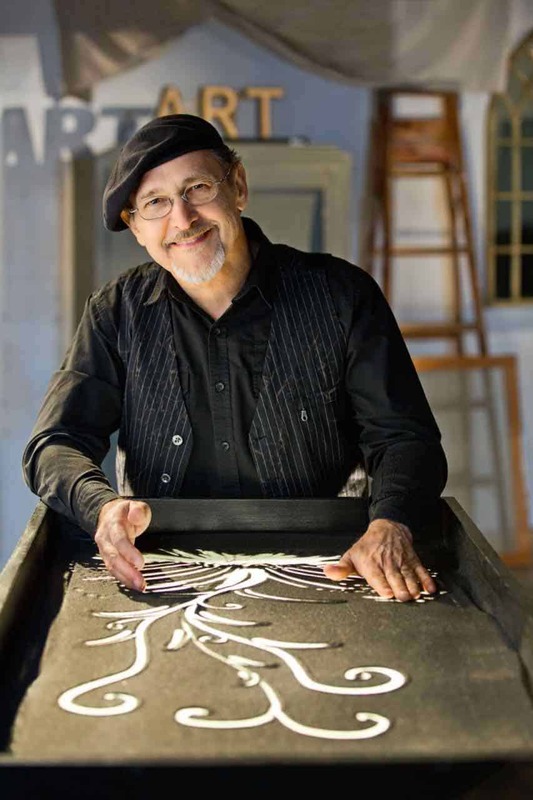 Joe Castillo is available to speak and weave one-of-a-kind Sand Stories to your specifications. As the Pittsburgh Penguins, turn your event into something special that will keep people talking and remembering long after the sand has morphed into another story. It is no surprise that Castillo captured the imagination of the nation and worked his way to the finals of America’s Got Talent by showcasing his ability to bring a story alive in instant animation. His mastery makes one forget it is sand into which he breathes life. 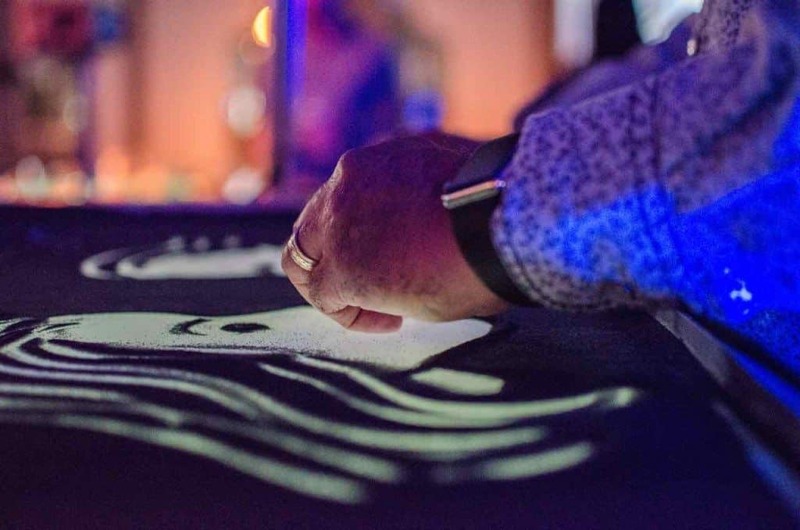 His hands and fingers fly over the light board while the projected image of his art mesmerizes the audience. Performing all over the globe in all 7 continents, over 43 countries, and into 35 different languages. Castillo takes any story, people, corporation, event, or message and turns it into pure magic. Faces show emotion. Expressions change as the situation changes. By nature, sand shifts blow away and is gone. One thing is sure: when Joe Castillo creates Sand Story, the audience will never forget the experience or the message conveyed. This powerful medium entertains and educates while feeding the soul with the beauty of his artistry. The Easter Story is sacred in the lives and faith of individuals around the world. Easter Sunday heralds the rising again of Jesus who offers hope and salvation for those who follow Him. Chrstian sand artist, Joe Castillo brings the message home in his unique telling of The Easter Story. He is Alive Sand Art! 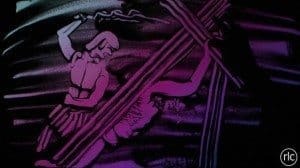 Sand artist Joe Castillo tells the story of Jesus’s death and resurrection without saying a single word,. Using only sand, light, shadow and his hands, Castillo slowly and skillfully illustrates Jesus’s torture, crucifixion, and resurrection. His illustrations are surprisingly detailed. The stripes on Jesus’s sides are particularly realistic-looking and gripping. So too are the details upon his tomb. Castillo uses purple, blue and black tones in the background to project the dark subject matter. The music experience shares The Easter Story as Castillo unfolds his unique sand art presentation. In his deft hands, the story of Easter comes alive from the torture to the cross, from the grave to the risen Lord. Can The Easter Story be Different this Year? Joe Castillo is also able to weave scenes together in surprising ways. With a few swipes of his hands, he changes a wooden cross into the smooth, muscular arms of the Jesus. In just a few more, he changes a scene of hell into a beautiful night sky. Perhaps the most amazing thing about Castillo’s work, however, is the way in which he creates moods. The colored lights that Castillo uses to illuminate his scenes add different traits to each one. The eery red and yellow lights on his illustration of hell, bring the horror of it to life. Meanwhile, the beautiful blue light he uses to create his sky during his resurrection scene, and the warm yellow glow he gives to the stars that shine in it give it a comforting feel. Each illustration is deeply moving. Artist Joe Castillo did not start out inventing a new art form. From an early age, Joe showed talent as an artist, but he was not satisfied simply creating pictures. He told stories through his art. In the next twenty years, he founded and ran “The Advertising Library.” However, art was always his first love, and his desire was to use art to inspire and motivate others. On a trip to a hardware store, he found sand spilling out of a bag. His imagination took charge, and he brought home a bag of sand, a light source and a piece of glass. With these, he fashioned his first light table. From those humble beginnings, Castillo began creating his signature sand art presentations. With the use of lighting, sound, and sand, Castillo tells stories that both amaze and move audiences. Now in demand around the world, Castillo motivates and inspires audiences that include CEOs and presidents, kings and the neighbor next door. He uses his visual art presentation in corporate, religious and other settings. His sand artistry was so well received during the 2012 season of America’s Got Talent that he made it to the finalist stage as he, again and again, moved both audiences and the judges at each stage of the competition. Joe Castillo’s sand art has won numerous awards. His work was also featured in “Turning the Tide,” a PBS documentary. In his Easter presentation, Castillo begins with Jesus being beaten. His illustrations make the audience almost feel the whip on Jesus’ back. Then, with a few deft hand movements of wiping out and adding sand, Castillo creates his presentation. Each illustration draws in the audience as it moves the story along. Sand pouring from Castillo’s hands becomes a brush in the hand of an artist, painting spectacular scenarios of sand given even more depth and substance by the play of light on the illustrations. With an extraordinary skill and control, Castillo morphs one illustration into the next and the next, each time, moving on the Easter presentation in ways that draw the audience into the story and the real meaning of Easter. How do your hire a Christian Sand Artist? Joe Castillo’s sand presentations come from a heart of a man of faith, an artist and a storyteller whose purpose is not just to entertain, through his presentations do that, but also to inspire. For more information on booking Sand Artist Joe Castillo call 615-283-0039. Joe Castillo is more than an artist. His work tells a complete story using Sand Animation. Joe is merely the vessel that brings the story to life in sand. Just as we, as human beings, are ever-changing and always moving, so are the sands at Castillo’s fingertips. Gather friends loved ones or potential customers to share in the journey. Joe Castillo has performed all over the world and has helped bring many companies and products to life right before a live audience’s eyes. Slogans, websites, commercials and billboards can only reach so far into the hearts and minds of observers. To make a lasting, personal relationship with customers, have Joe create something that tells the story of the struggle and the reward. It might take 2 minutes. It might take an hour. At the end of the show, your product or organization has just become a fixture in everyone’s life instead of an annoying billboard they fly past on the highway. Under the big lights, and on the big stage in New York City, Lincoln unveils their 2013 MKZ product launch, with the class and grace of Joe Castillo’s telling the story. Sand Artist Joe has a way of extracting what you feel when you hear the music and translating that to art. It is a moving and breathtaking experience. Lincoln chose this experience to unveil their New Lincoln MKZ. The beautiful music, paired with the stunning sand art, is the perfect backdrop for the launch of this beautiful, new automobile. The manufacturer chose an extremely elegant way to introduce this stylish vehicle. There is no doubt whatever feeling you are trying to communicate to your audience Joe Castillo has a new and innovative way of capturing the attention of the viewers and bringing them along on this incredible, artistic journey. The talents of Joe Castillo are sure to delight and astonish viewers of all ages. Joe Castillo is an incredibly talented artist featured on America’s Got Talent. He uses sand and light as a medium for his one-of-a-kind artwork. This unique form of art, called Sand Animation, is, unlike sand sculpture. It is constantly moving and changing, leaving onlookers in awe. Castillo spreads the sand across a lightable, creating vivid images. He choreographs these remarkable images to music, creating an art form called SandStory. His SandStory performances never fail to captivate and inspire his audience. Through this astounding talent, he has become the number one SandStory artist in the United States and quite possibly the world. Castillo was born in Mexico City and developed a passion for art and storytelling at a young age. He is an author, artist, and storyteller. He holds multiple degrees from the Ringling School of Art and has performed his spectacular SandStory shows for Presidents, Kings, CEOs and a host of other audiences worldwide. Castillo has won numerous awards and was featured in a documentary on PBS. Sand tells the story, when Joe Castillo joins the Virginia Symphony Orchestra, in a performance of Water, Water Everywhere by composer, William Copper. Joe Castillo, evokes all of the emotions you feel when live performance sand art is combined with music. Here he joins the Virginia Symphony Orchestra to perform this beautiful composition. The visions in your head come to life on the screen, as Castillo draws in the sand. Suddenly, the music comes to life. His creativity and talent transform an ordinary pile of sand into an unusual depiction of the music. Perfectly timed to dramatic moments within the composition, so to the dramatic manipulation of the images. It is as if you are dreaming and the vivid picture in your mind is being created before you, by the artist. Castillo has an incredible talent that can tell any story or enhance any image. Joe Castillo is the human “Etch-a-Sketch”…here to perform, create and amaze audiences of all ages. Joe Castillo draws audiences into an experience of light and sound as he performs a Patriotic Sand Art to the music of Lee Greenwood’s “God Bless the USA.” Joe’s performances combine both his skills as an artist and storyteller as he begins to form one illustration after another. He reforms the images to match the music and a message he seeks to convey and does so seamlessly. Joe Castillo is a speaker from America who has shared his talent, stories, and artwork with audiences for over 30 years. His sand animation, in which he draws images using sand as an art medium, produces detailed illustrations that both motivate and inspire the audience. Almost before the audience realizes what is happening, Joe Castillo transforms one image into an even more powerful example as he builds to his powerful and awe-inspiring finale. In “God Bless the USA,” Joe forms a face confronted with a flag. With a few deft strokes of his fingers, one face becomes two, both showing respect for the US flag. Subtle red, white and blue lights deepen the emotional impact. The final image of the Statue of Liberty against a background of fireworks makes the heart beat with patriotism. To book Joe Castillo call 615-283-0039.